If you are a super iPad fan, Free Video Converter is definitely a right tool to enjoy HD movies. With this wonderful iPad video converter software, you can convert all your HD video collection to iPad compatible format. 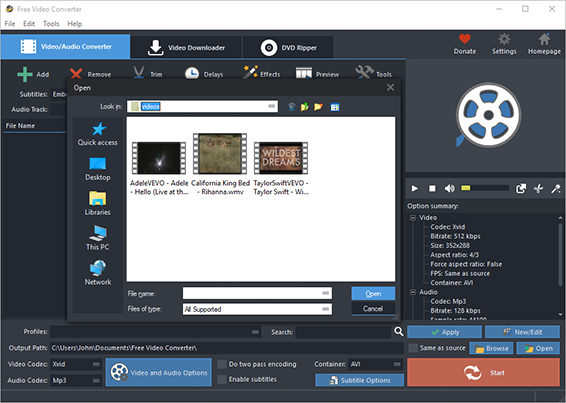 It will be a great help especially when you have tons of HD videos as it supports batch conversion. In “Profiles” menu, select “to Apple” – “To iPad” to play the video on and you can see the details of the profile in the “Option Summary” panel at the right. If you know exactly the format your device supports, you can directly choose the output format in “Container” menu. To edit the parameters of the profiles, click “New/Edit” and change the settings in the “Profile Editor” Window. 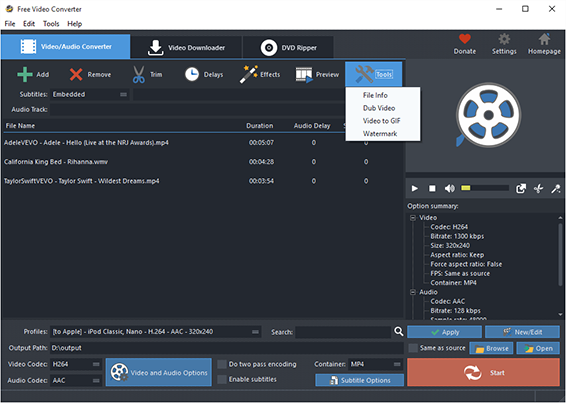 You are allowed to choose the video and audio codec as well as the encoder to use. To change the codec settings, click “Video and Audio Options” and set the options as you want. Choose output path by “Browse“.